Glowing skin has been a benchmark of beauty since time immemorial. Over time, we have been known to try out different methods, such as packs, scrubs, and various other concoctions to achieve healthy, clear and glowing skin. Amidst all the kitchen commodities that work as natural beautifiers, almond oil is a single-stop for every skin trouble. Almond oil is lightweight and easily absorbed, making it suitable for face massages and after bath applications. It has a pleasant nutty fragrance and soothes the skin instantly. Today we’ll tell you about the oil and show you ways in which you can use almond oil for skin and get the most out of it. Essentially almond oil is of two kinds, the sweet almond oil and the bitter essential oil. The bitter almond oil is extracted from the bitter almonds that contain a glycoside, which turns into a toxic acid upon processing, hence deeming it unfit for regular usage. On the other hand, sweet almond oil, derived extensively from edible almonds is the one used in skin and hair care. A wide range of concoctions, such as face creams and skin moisturizer are made from it, thanks to the high concentration of Vitamin E in it, which helps renew your skin like never before! Almond oil is mild, safe for use even on baby skin. In fact, it is found to be the best massage oil for infants. Here’s how you can use almond oil for skin care. Did you know that Tea Tree Oil fights bacteria and fungal infections? Read more here. A very simple kitchen hack, featuring an easy method to use almond oil for glowing skin. Mix some fine grain sugar and two tablespoons of almond oil and apply it all over your face. The scrub sloughs off the dead cells while the almond oil renews your skin cells from within. Wash it off with lukewarm water, and pat dry. Repeat twice a week for clear, glowing skin. Almond oil is rich in Vitamin E, A and D, making it a great antioxidant ingredient – it replenishes the skin nutrients and reverses the effect of sun and pollution. Along with banana, it makes for a nourishing pack that softens the skin. 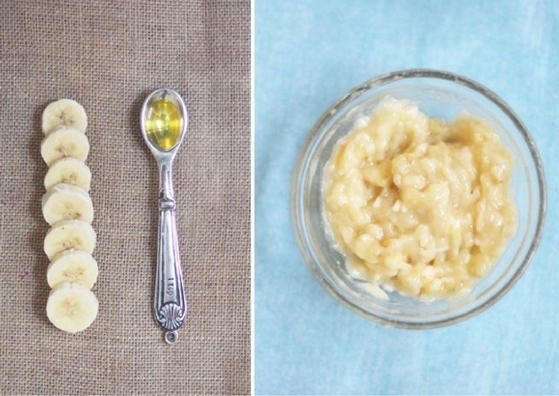 To make the banana almond oil face pack, mash a ripe banana along with three tablespoons of almond oil to make a thick blend. Apply it evenly over your face and let it dry. The pack is super awesome during winters when your skin tends to be chapped and flaky. Wash off with lukewarm water and pat dry for soft, supple skin. Lemon and honey are known ingredients to cleanse the skin and add moisture and luster to a dull face. Along with almond oil, they work wonders on the face and suit all skin types. To use it, mix adequate amounts of almond oil with lemon juice and honey. Massage this mixture evenly on your face in circular motions and let it stay on the skin. Wash off with warm water after 20-30 minutes. This concoction is best suited for use early in the morning for that added glow throughout the day! Lemon juice can be used to lighten your skin tone. Read about 8 Wonderful Benefits of Lemon for your face. Dark circles are a common skin trouble faced by the women of today, owing to her hectic schedules and stress. But one can effectively use almond oil for skin care around the eyes, with a very easy concoction. Mix a tablespoon of almond oil with a few drops of coconut oil and massage around eyes. Repeat for a few days to tighten skin around eyes and brighten the eye area, reducing puffiness and tiredness of skin. Getting rid of dark circles is not a big deal. Try these super effective home remedies for dark circles. Almond oil by itself is a great skin supplement. Being a rich source of Vitamin E, using almond oil for face and skin helps in making the skin even toned and moisturized. Its quick absorption properties make it a good choice as an emollient or as a carrier oil. Massage a few drops of almond oil on the face in the night after thoroughly cleansing the face and neck. This needs to be practiced every alternate day for the best results. 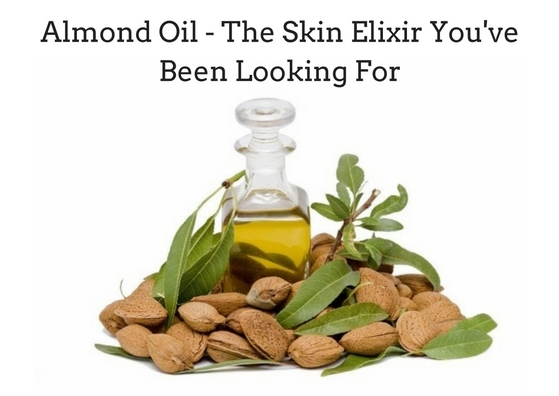 Click here to watch a video on how to use almond oil to cleanse your skin. Almond oil is a natural moisturizer because of the fatty content present in it. It breaks down sebum, an acne producing compound that clogs facial pores. This almond oil face pack for acne prone skin can be made by mixing one spoon of honey, one tablespoon of almond oil and half an avocado. Mix all the ingredients thoroughly to create a puree and apply it thoroughly and evenly throughout the face. Leave it for 10 to 15 minutes, and rinse off with lukewarm water when facial skin feels dry and slightly taut. Pat dry and repeat once a week for effective results. 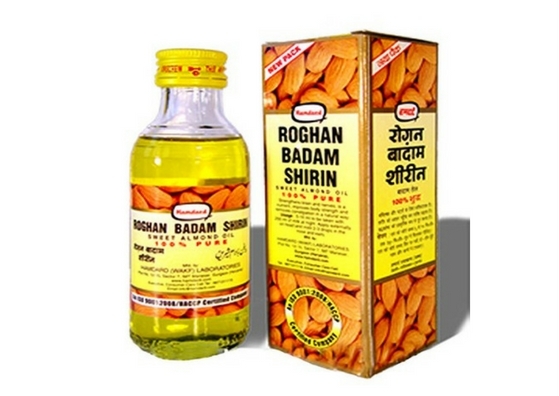 Almond oil is a completely natural derivative and hence there are less chances of side-effects. It can be used as a substitute for moisturizer. It can be incorporated into the daily skin care regime for healthier, more radiant glowing skin. Before you go, Learn How to get rid of acne and pimples.